Alberta will loan $235 million to a non-profit group that cleans up abandoned oil and gas wells, Premier Rachel Notley announced Thursday. 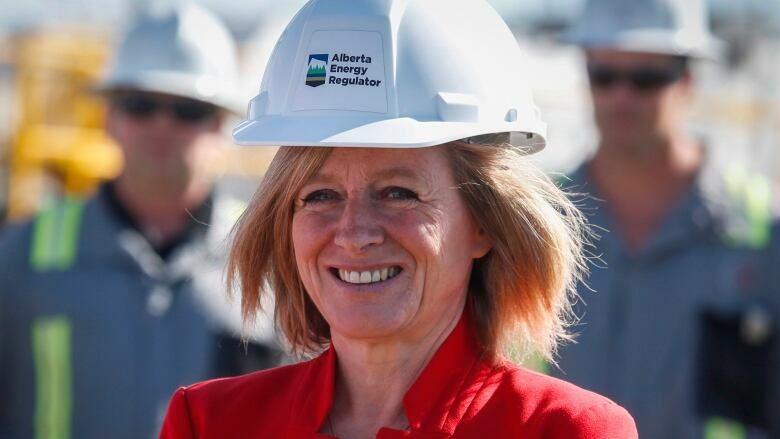 Alberta will loan $235 million to the energy industry to clean up orphaned oil and gas wells, Premier Rachel Notley announced Thursday. The money will flow to the Orphan Well Association (OWA), which is administered by the Alberta Energy Regulator but funded by energy companies. The loan will be paid back over a decade by industry, with the interest covered by $30 million the federal government announced in the last budget. The OWA is dealing with about 2,000 orphan wells. A well becomes orphaned when its corporate owner goes bankrupt without enough assets to pay for the cleanup. Until recently, industry paid $15 million a year into the fund. It doubled to $30 million annually in 2015. "Since the orphan fund was established, industry has contributed almost a quarter of a billion dollars and this funding has been used to successfully abandon almost a thousand wells and reclaim over 600 sites," said Brad Herald, the chair of the OWA. The funds that the province will loan the industry will not fully take care of the inventory of wells already on the books of the OWA, but it will help to get oil services workers back on the job. "The agreement will put people to work as early this summer and will go toward cleaning up orphaned wells over the next three years," Notley said. Notley made the announcement on an orphan well site near Carstairs, north of Calgary. The well was drilled in 1980, saw 10 different owners and was orphaned in 2015. "By the end of this summer, you won't be able to tell there was even a well here," she said. Many oil services workers have been reluctant to come back to the industry because of its uncertainty, but this funding will help, according to Mark Salkeld, chief executive of the Petroleum Services Association of Canada (PSAC). "A lot of that talent is leery of coming back into that sector for fear of not having a long-term opportunity. What this does is add job security," he said. The plan doesn't replace an industry-run fund to clean up wells, Notley said. Nor does it solve the much larger problem of Alberta's inactive and abandoned wells. Tens of thousands of Alberta's wells have been abandoned and plugged with concrete, but not fully reclaimed. And 82,546 are inactive, meaning no more oil or natural gas is being produced, but the wells haven't been plugged and could, at least theoretically, be brought back to life.